The remains of Hurricane Gonzalo will arrive later, bringing winds of up to 60 mph and rain across much of the UK, the Met Office has warned. The worst disruption is expected on Tuesday, with strong winds expected to coincide with rush hour in some areas. Gales will move eastwards from Monday night, mainly affecting Northern Ireland, northern England, northern Wales, and parts of Scotland. The Met Office has issued a "be aware" warning for many areas. 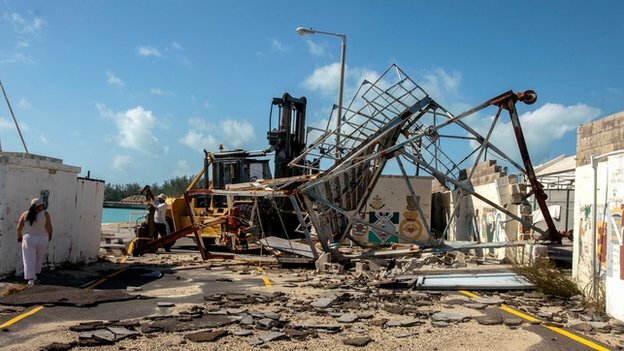 'Uncertainty' Hurricane Gonzalo caused widespread damage and a power blackout when it hit Bermuda last week. The Met Office said: "The remains of Hurricane Gonzalo will run eastwards across the Atlantic, reaching the UK on Monday night, bringing a period of strong winds and heavy rain to the UK. 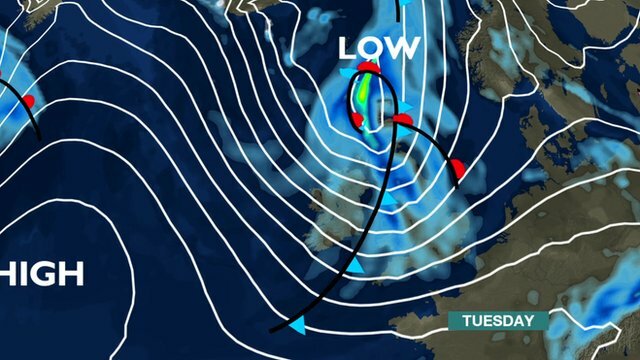 "The strongest winds are expected on Tuesday as the low pressure clears eastwards. "Some uncertainty remains in the track and intensity, but there remains the potential for localised disruption to travel, especially as the strongest winds will coincide with rush hour in places. Forecasters added that fallen leaves could impede drainage, increasing the risk of surface water on roads. The yellow warning for high winds is in place for: Highlands & Eilean Siar; Orkney and Shetland; Grampian; Strathclyde; south-west Scotland; Lothian and Borders; Tayside and Fife; Northern Ireland; Wales; north-west England; north-east England; Yorkshire and Humber; West Midlands; East Midlands; East of England; south-west England; London and south-east England.